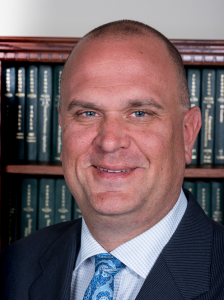 I provide Estate Planning for residents of Lancaster County and Berks County communities around Reading and Wyomissing, PA.
Providing for your children and loved ones has always been your top priority. Planning for the unexpected is equally important. One of the best ways to plan for the future is through Estate Planning. The best way to approach Estate Planning is working with our experienced Estate Planning Lawyers. We’re dedicated. We ensure your wishes are carried out and protect your Estate’s property and assets. We give you the necessary Estate Planning tools to provide for your loved ones after you’re gone. care of minor children and more. Trusts – are legal documents capable of holding property and assets. When you assign your Estate’s property to a Trust, it protects that property from the lengthy and complicated process of Probate. Many people who have families or beneficiaries are unsure whether they need a Will, Trust or another legal document. That’s because there’s a lot of confusion about the powers of a Will, Powers of Attorney, Trusts, and other legal solutions. Our Estate Planning Attorneys review your assets and family situation to help you determine which legal protections are best for you and your heirs. Find out why Estate Planning for Women is especially important. Healthcare Power of Attorney which will give a trusted family member the right to make decisions in the event of an accident or incapacitating illness. You need our experienced Estate Planning Attorney who understands all these situations. You’ve worked a lifetime accumulating your assets. Making sure your Estate’s assets are distributed the way you want them to is too important to depend on a rookie lawyer or online solution. You Won’t Find More Proven, Experienced Estate Planning and Trusts Lawyers in Reading, PA and Berks County. very importantly, dedicate ourselves to planning your estate the same as we would for members of our family. In conclusion, the Estate Planning and Trust Attorneys you’re looking for are a phone call away. Contact Us Online or call us at 610-670-9000 today. 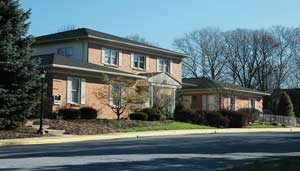 Miller Law Group’s Berks County Law Offices are in West Lawn near Reading and Wyomissing, PA.